There is something magical about the Cape Winelands. Steeped in history and offering magnificent scenery and award-winning wines, exploring the Winelands is the perfect way to spend a day. There is nothing better than sitting outside, under the shady branches of an obliging tree, sipping Cab Sav while gazing out over rolling hills adorned with vivid red-gold vines. Imagine a day spent hopping between three of the Cape’s most celebrated wine routes, indulging in a visual and culinary feast. 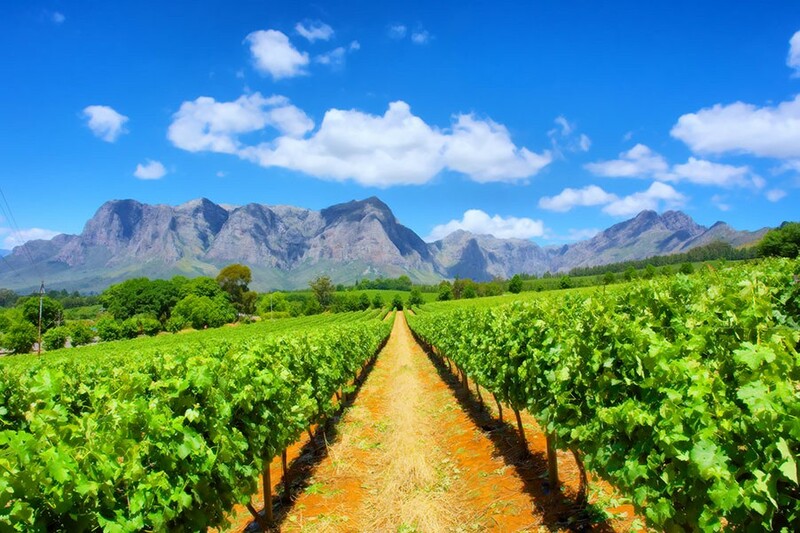 Stellenbosch, Franschhoek and Paarl are some of South Africa’s most renowned destinations, known for their phenomenal scenery and quaint charm, with leaf lined avenues and classic Cape Dutch architecture. Doing a Cape Town Winelands tour should be at the top of most tourists’ bucket lists. It’s an unforgettable way to enjoy a truly Cape experience with family and friends, while delighting in some of the finest wines and culinary expertise that the area has to offer. From wine and chocolate pairing to cheese and wine tasting, visit a number of the Cape’s most prestigious estates and relish the remarkable surroundings while trying their delectable offerings. Many of the vineyards and estates have been passed down through the generations and going on a Cape Town private tour enables you to learn about their fascinating histories, through the informative commentary provided by your guide. By going on a private tour, you can customise your activities to suit your requirements. If there are particular estates that you would like to visit, you can factor these into your itinerary and you can also tell your guide what you are interested in and he can identify estates to match your requests. Choose from an exciting array of restaurants offering a variety of different cuisines and dining styles. If it is a beautiful summer day, then why not capitalise on the sunshine and tuck into an enticing gourmet picnic in the vast gardens of one the estates? If there are too many tempting delights on offer, many of the estates provide an exciting tasting menu, which is generally paired with some of the cellar’s best wines. In Stellenbosch, the exquisite countryside and rustic town will instantly capture your imagination, while the sumptuous produce and rich wines will capture your heart. The region is rich in history which is visible in the striking Cape Dutch architecture that the town is famous for. In Franschhoek savour the French flair and lush vegetation of the picturesque town, which is nestled in a valley, surrounded by majestic mountains. The food and wine is heavily influenced by the town’s history, as many of the residents have Huguenot ancestry. Opting for a Cape Town Winelands tour is a decision that you won’t regret. With so much to explore, you will find that your day is packed with excitement, as you delight in flavoursome food, wonderful wines and superb scenery.